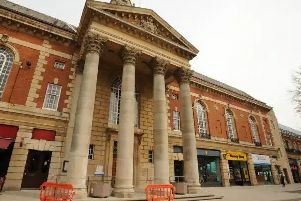 Peterborough City councillors have revealed what inspired them to get into politics and what their roles involve as part of a week-long celebration of democracy. National Democracy Week takes place next week and is aimed at involving more people in the democratic process. As part of National Democracy Week, Peterborough City Council is also hosting 'Democracy in a Day' at Peterborough Town Hall on Tuesday, July 3 from 5pm to 8pm.
. What the role of a councillor involves. Visitors will also get the chance to take a 'selfie' with the council's Mayor, win £30 worth of Queensgate shopping centre vouchers in a prize draw and receive a free goody bag.